This tyre provides superior economy, thanks to a specialist tread compound and tread pattern design which have been developed to enhance tyre life. 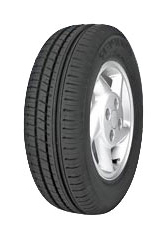 The Cooper CS2 is also optimised to reduce rolling resistance for better fuel economy. Constructed with three wide circumferential grooves which work to rapidly disperse water away from the tyre tread, the Cooper CS2 provides enhanced resistance against aquaplaning.